nominations update: a bloom off the wildrose in little bow. A little bit of the bloom came off the Wildrose this week as the entire executive committee of that party’s Little Bow Constituency Association resigned in protest central party interference of their recent nomination contest. The resignations come as local members nominated Vulcan County Councillor Ian Donovan, who defeated 2008 candidate Kevin Kinahan (a comment on Mr. Kinahan’s Facebook Page indicated that the vote was 209 to 204). Wildrose Alliance support in Little Bow jumped from 857 votes (9.4%) in 2004 to 2,051 votes (23.1%) in 2008, making this one of that party’s best showings in the last election. Leader Danielle Smith was quick to declare on Twitter that “I stay neutral in these contests” and provided a link to a statement by Party President Hal Walker. UPDATE: The former Little Bow Constituency Association executive have responded to Mr. Walker’s statement. The internal turmoil was not limited to Little Bow. Earlier this week, Bobbie Dearborn, the Secretary of the Medicine Hat Wildrose Constituency Association resigned after a heated board meeting. According to the Medicine Hat News, some local members are apparently unhappy about a dispute over local finances and the quick nomination process that selected candidate Milva Bauman earlier this year. It might be too soon to call them a wilting rose, but these are certainly the largest round of internal resignations to hit the Wildrose Alliance since Ms. Smith became party leader in late 2009. The other parties had more smooth experiences with recent candidate nominations. The NDP nominated former MLA David Eggen in Edmonton-Calder. Mr. Eggen represented Calder from 2004 to 2008, when he was narrowly defeated by PC candidate Doug Elniski. The NDP also recently nominated Ali Haymour in Edmonton-Decore. Mr. Haymour stood for election in neighbouring Edmonton-Castle Downs in 2008, placing third with 13% of the vote. The Liberals nominated former MLA Rick Miller in Edmonton-Rutherford. 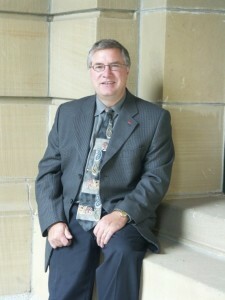 Mr. Miller served as the MLA for Rutherford and Official Opposition Finance critic from 2004 and 2008. He was narrowly defeated by PC candidate Fred Horne in 2008 and has since served as the Chief of Staff at the Official Opposition Caucus. The next election will be Mr. Miller’s fourth time standing as a Liberal candidate in that constituency (he stood against former Reform Party MP and PC candidate Ian McClelland in 2001 and defeated him in 2004). Other candidates already nominated in Rutherford are the NDPs Melanie Samaroden and the Wildroses Kyle Macleod. View an updated list of declared and nominated candidates. This entry was posted in Alberta Politics and tagged Ali Haymour, Bobbie Dearborn, Danielle Smith, David Eggen, Doug Elniski, Fred Horne, Hal Walker, Ian Donovan, Ian McClelland, Kevin Kinahan, Kyle Macleod, Melanie Samaroden, Milva Bauman, Rick Miller on November 26, 2010 by Dave Cournoyer. Calgary-Centre North by-election could be a test of conservative unity in alberta. As the first major political event on the federal stage in Alberta since the Wildrose Alliance jumped from insignificance to contender in the polls over the past year, the Calgary-Centre North by-election could be a symbolic test of the Conservative Party’s strength in tolerating the provincial split in the conservative movement in Alberta. The resignation of Environment Minister Jim Prentice could open the door for a contested race for the Conservative Party nomination that could highlight some of these cleavages. Could that riding’s Conservative nomination contest become a proxy war in the battle between moderate and ideological conservatives that has exploded on the provincial level? I have had an number of interesting and frank conversations with federal Conservative Party organizers who are acutely aware of their delicate balancing act. In most provinces, many members of the federal Conservative Party are also members of the equivalent “conservative” party in the provincial level (ie: BC Liberals, Saskatchewan Party, PC Party in Ontario and the maritimes). Alberta’s conservatives are in a different situation. Many active members of the Conservative Party of Canada remain active members of the four decade-long governing Progressive Conservatives, but many have become active with the Wildrose Alliance over the past year (including Wildrose candidates Andrew Constantinidis in Calgary-West and Rod Fox in Lacombe-Ponoka who are former Conservative Party Electoral District Association Presidents). Two of the Wildroses main political staffers are also products of the federal Conservative school of politics. Executive Director Vitor Marciano and Communications Director William McBeath both left positions in the federal Conservative establishment to join the insurgent Wildrosers since Danielle Smith became leader. It is somewhat reminiscent of the split that happened among conservative voters in the 1990s with the rise of the Reform Party of Canada and the decline of the Progressive Conservative Party of Canada. 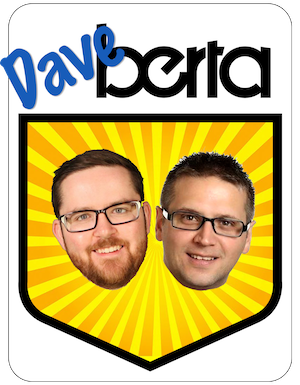 Although they did not form a functional provincial-wing, the split between the Reformers and the federal PC Party in Alberta also happened during a time of flux on the provincial level. Many Reform Party supporters were drawn to the policies of fiscal conservative provincial Liberal leader Laurence Decore. A few Reformers such as Don MacDonald and Donna Graham ran as Liberal Party candidates. Mr. MacDonald stunned many political watchers when he handily won a 1992 by-election in the Three Hills riding in the conservative heartland. The Liberals also won support in the Little Bow constituency where candidate Ms. Graham came within 262 votes of defeating Tory Barry McFarland. It was a different time. Following the 1993 re-election of the PC Party led by Premier Ralph Klein, many of these tensions disappeared as many Reformers made amends with Alberta’s natural governing party. Some of these tensions re-emerged under a resurgent Social Credit in 1997, but that year’s election proved to bare no fruit for the antiquated political movement. By 2001, when Reform MP Ian McClelland moved into provincial politics it appeared that all was beautiful, calm, and quiet on the conservative front. What a difference nine years can make. Back to my original point, it will be very interesting to watch how the Conservative Party of Canada will try to mitigate any migration of the conservative conflict into its ranks in Alberta. This entry was posted in Alberta Politics and tagged Andrew Constantinidis, Barry McFarland, Don MacDonald, Donna Graham, Ian McClelland, Jim Prentice, Laurence Decore, Ralph Klein, Rod Fox, Vitor Marciano, William McBeath on November 5, 2010 by Dave Cournoyer.